Everybody should have an emergency survival kit or emergency kit. If something should happen, you will need to be prepared, have have to live with the basics for at least 3 days. The Red Cross recommends a 3 day supply for an evacuation from home and a minimum of a 14 day supply for the house. So just exactly what items and things are absolutely necessary to include in your survival/emergency kit? Well here is a list of 20 things youshould absolutely need to pack. 1. Water: This needs to be at the top of any survival or emergency kit. We can not live without water. We need water. Plan to include 1 gallon of water per person per day. Remember, this water is needed not just to drink, but also to wash with. 2. Bleach: Plan to also include bleach. If you have stored your water any length of time or it has been exposed to the air, then adding just a little bit of bleach will make it safe to drink in an emergency. 1 gallon of water needs about 8 drops of pure bleach to make it safe to drink. 3. Food: We need to eat. Again, plan for 3 days if you get evacuated and 14 days if you are able to stay at home. Include foods that will not spoil, and that are easy to prepare. Many stores sell survival food a good choice is where all you have to do to is add hot water to make it. 4. Utensils: are handy such as forks, knives, and spoons. 5. A Multi-utility tool: These are tools that have included several tools in one. You will most often find these including a flat-head screwdriver, scissors, a knife, pliers, a bottle opener, etc. 6. Flashlight: Make sure you have some form of light. In an emergency, most likely the power will be out and you will need the flashlight to get around in the dark at night. If you can find one that is solar powered or a crank-able type, then all the better. In addition to a flashlight you may also want to bring some portable lights. Solar power lights are ideal. If you can find waterproof ones all the better. Not only are they good for light but for comfort also. 7. Radio: You will need a radio to listen to news and/or send out help messages. One that is hand-cranked is the better option. 8. 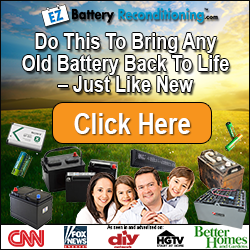 Batteries: If your flashlight or radio are battery powered then you need to have extra batteries cache on hand. 9. Medication: If you are taking any kind of medication, make sure to keep at least a 7 day supply of it. 10. First-aid kit: You never know what will or can happen. You will require a first-aid kit at some point in time. 11. Toilet paper: Toilet paper is useful for so many things. Keep some in your survival kit too so you will have something to clean and wipe with, start a fire etc. 12. Toiletries: This would include toothbrushe, toothpaste, soap, and whatever else you use for hygiene and sanitation. 13. Underwear: So you can stay clean. 14. Copies of important personal documents: You will want to have these documents handy if you find that you can not go back to your house for whatever reason. These include passports, citizenship papers, driver's licenses, medical information, birth certificates, and insurance information. 15. Cell phone with chargers: An extra cell phone battery may be helpful in case you do not have access to electricity, and cell service is available. 16. Important phone numbers: Keep a list of emergency contact information, local police, and family contact numbers. 17. Cash: If there is still some form of civilization you may need to purchase something and there are places still in operation, you need cash. 18. Emergency blanket: This is a thin thermal blanket that has many uses. Some are also reflective and can be used to make light signals. 19. Matches/Lighter: If you need to make a fire for heat, and cook you will need a match or some other form of starting a fire. If you can, choose one that is also waterproof and can be reused over and over again. Having a fire is also a good way to sterilize metal objects. 20. Maps: If you need to get somewhere and your usual routes are blocked, the map will help you plan an alternate route. Everybody should have an emergency survival kit or emergency kit. If something should happen, you will need to be prepared, have have to live with the basics for at least 3 days. The Red Cross recommends a 3 day supply for an evacuation from home and a minimum of a 14 day supply for the house. So just exactly what items and things are absolutely necessary to include in your survival/emergency kit? Well here is a list of 20 things youshould absolutely need to pack. 1. Water: This needs to be at the top of any survival or emergency kit. We can not live without water. We need water. Plan to include 1 gallon of water per person per day. Remember, this water is needed not just to drink, but also to wash with. 2. Bleach: Plan to also include bleach. If you have stored your water any length of time or it has been exposed to the air, then adding just a little bit of bleach will make it safe to drink in an emergency. 1 gallon of water needs about 8 drops of pure bleach to make it safe to drink. 3. Food: We need to eat. Again, plan for 3 days if you get evacuated and 14 days if you are able to stay at home. Include foods that will not spoil, and that are easy to prepare. Many stores sell survival food a good choice is where all you have to do to is add hot water to make it. 4. Utensils: are handy such as forks, knives, and spoons. 5. A Multi-utility tool: These are tools that have included several tools in one. You will most often find these including a flat-head screwdriver, scissors, a knife, pliers, a bottle opener, etc. 6. Flashlight: Make sure you have some form of light. In an emergency, most likely the power will be out and you will need the flashlight to get around in the dark at night. If you can find one that is solar powered or a crank-able type, then all the better. In addition to a flashlight you may also want to bring some portable lights. Solar power lights are ideal. If you can find waterproof ones all the better. Not only are they good for light but for comfort also. 7. Radio: You will need a radio to listen to news and/or send out help messages. One that is hand-cranked is the better option. 8. Batteries: If your flashlight or radio are battery powered then you need to have extra batteries cache on hand. 9. Medication: If you are taking any kind of medication, make sure to keep at least a 7 day supply of it. 10. First-aid kit: You never know what will or can happen. You will require a first-aid kit at some point in time. 11. Toilet paper: Toilet paper is useful for so many things. Keep some in your survival kit too so you will have something to clean and wipe with, start a fire etc. 12. Toiletries: This would include toothbrushe, toothpaste, soap, and whatever else you use for hygiene and sanitation. 13. Underwear: So you can stay clean. 14. Copies of important personal documents: You will want to have these documents handy if you find that you can not go back to your house for whatever reason. These include passports, citizenship papers, driver’s licenses, medical information, birth certificates, and insurance information. 15. Cell phone with chargers: An extra cell phone battery may be helpful in case you do not have access to electricity, and cell service is available. 16. Important phone numbers: Keep a list of emergency contact information, local police, and family contact numbers. 17. Cash: If there is still some form of civilization you may need to purchase something and there are places still in operation, you need cash. 18. Emergency blanket: This is a thin thermal blanket that has many uses. Some are also reflective and can be used to make light signals. 19. Matches/Lighter: If you need to make a fire for heat, and cook you will need a match or some other form of starting a fire. If you can, choose one that is also waterproof and can be reused over and over again. Having a fire is also a good way to sterilize metal objects. 20. Maps: If you need to get somewhere and your usual routes are blocked, the map will help you plan an alternate route.